As of April 10, 2019, a Fire Advisory is in effect for the Rocky Forest Protection Area, Town of Rocky Mountain House, Clearwater County, Village of Caroline, the Summer Village of Burnstick Lake. Existing fire permits remain valid (subject to suspension or cancellation). New fire permits will be issued on a case-by-case basis. 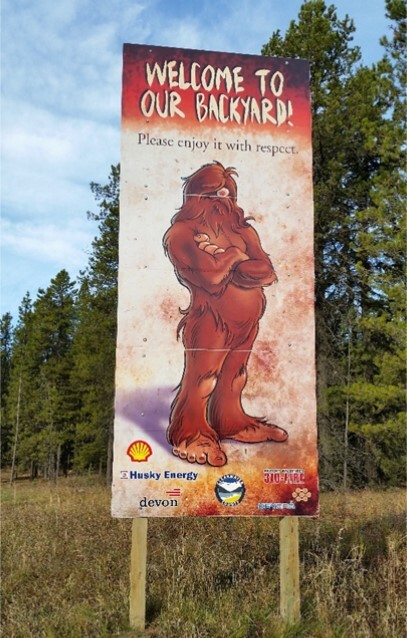 Sasquatch’s message of environmental stewardship continues to expand with Sasquatch appearing across Clearwater County and also making a few guest appearances at conferences and sports shows across the province. You may also find Sasquatch's image in the Counties of Brazeau and Yellowhead with those municipalities signing a memorandum to use Sasquatch in like manner within their borders. You may even see him on a stylish t-shirt. Sasquatch’s grassroots effort is gaining traction and spreads the message of respectful, safe and ecologically sound enjoyment of natural landscapes - forests, foothills and mountains connected by rivers, streams and lakes. 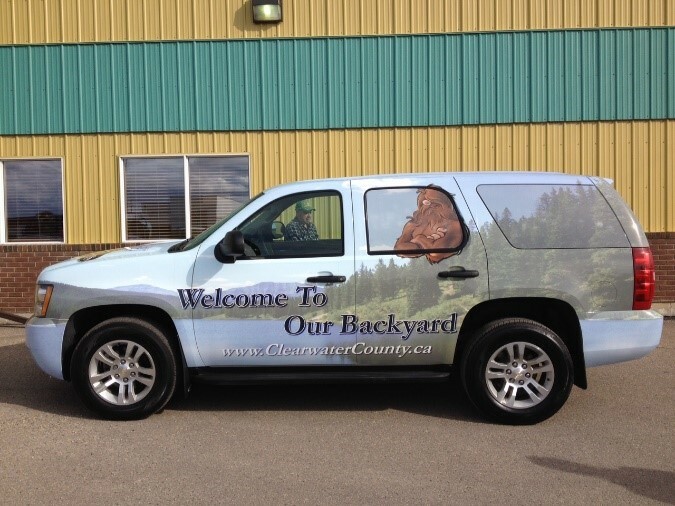 The Sasquatch and Partners efforts began in 2013 as a collaboration between Clearwater County, industry and local Provincial government staff. 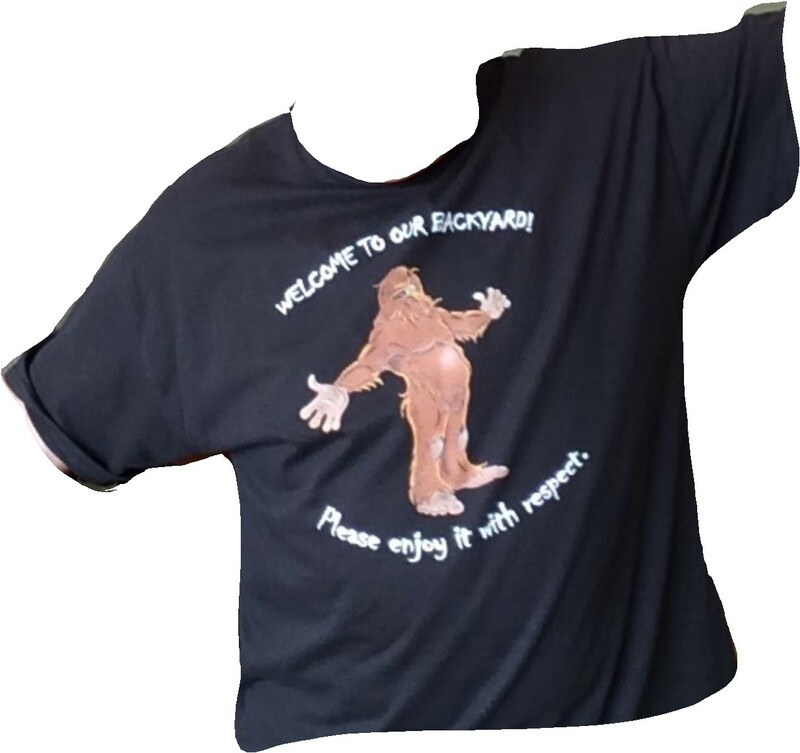 Since that time other community organizations and businesses have joined the Sasquatch movement encouraging visitors and citizens of Clearwater County to camp and travel in areas that are safe for the traveler and for the environment. If you have a question of how Sasquatch can work with your organization, or to request the use of Sasquatch's copyrighted image, please contact the Agricultural Services and Landcare department at 403-845-4444. 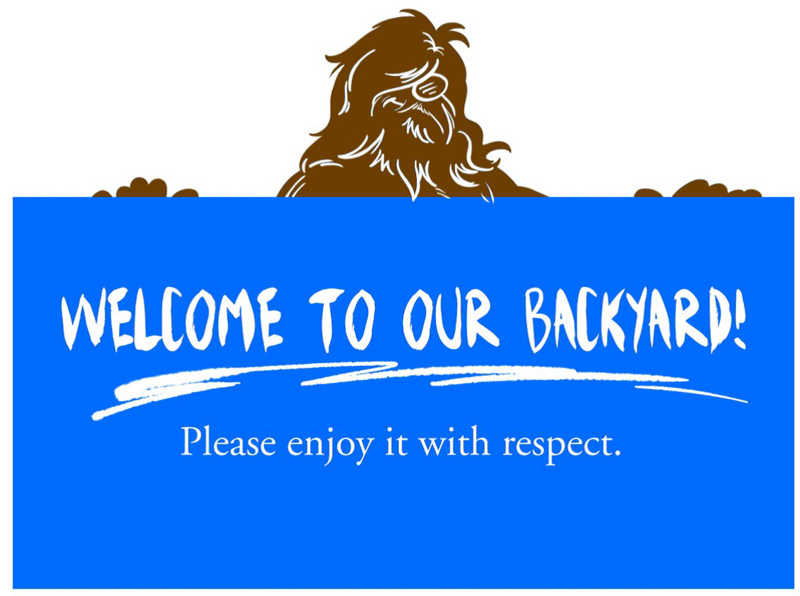 Watch for Sasquatch road signs in Clearwater County declaring the welcome to our backyard message. The Clearwater Trails Initiative (CTI) is a friend of Sasquatch, working to help random campers and recreational motorized vehicle users find safe, environmentally-friendly places to enjoy in the West Country. Click here to learn more about CTI including summer trail maps. 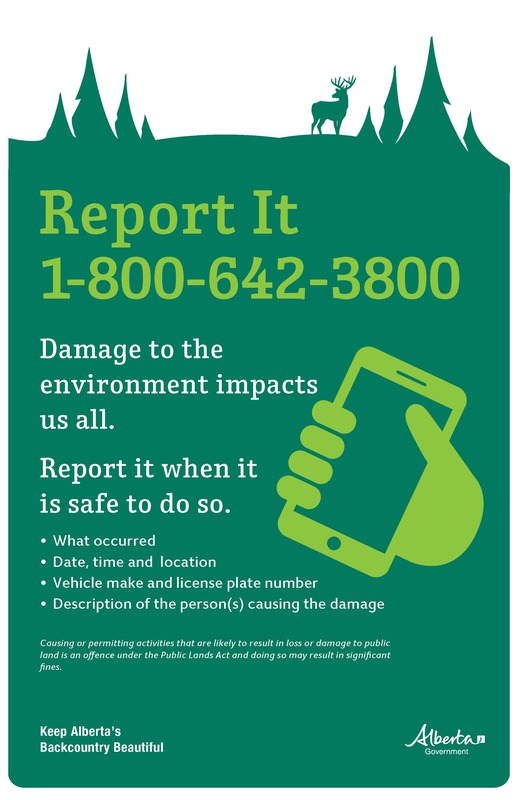 Did you know...you can report someone damaging the environment? Want a memorable reminder of what Sasquatch stands for? Purchase a T-shirt at the tourism visitor centers in Rocky Mountain House or Nordegg or at Caroline Supplies or the Nordegg Museum visitor center. Watch for Sasquatch’s riding around in his SUV. Find out more about safe camping and riding in Sasquatch’s brochure. 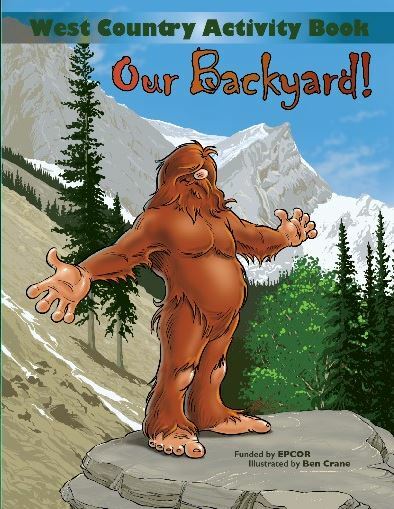 Pick up a copy of the "Our Backyard” kids activity book. 2019 © Clearwater County. All Rights Reserved.